Bangkok is a true shopping paradise and it’s no different when it comes to all sorts of electronics. 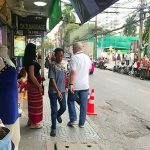 While there are countless of places in the Big Mango that sell everything from digital cameras, TVs to computer equipment there are three malls that offer the widest range and the cheapest electronic products not just in Bangkok but in all of Thailand. I have bought stuff at each of the following places so I can not only give you some hints for shopping there but also let you know which malls offer the best deals depending on what kind of electronic product you are looking for. If you want to buy a new phone or tablet the MBK Center is the place to go. 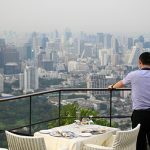 You won’t find any place in Bangkok that offers a higher concentration of phone shops and everything that is connected to that (cases, batteries, accessories, sim cards, software and app packages whatever). You have to be careful though especially with second hand products. I bought a Samsung Galaxy second hand and a few days later my friend told me that she can’t hear me properly during our phone conversation. Of course the shop owners will always tell you that their second hand stuff is perfectly fine – but at least in this case mine wasn’t. It’s not ebay where you can trust a seller because you can look at his reviews. Sold my phone a few months later and bought a new one, import from Hong Kong and this time no problems at all. Bargaining is important so never take the first price they offer you. However it’s not much cheaper than everyone thinks before coming to Thailand, if you buy a new phone you can save maybe 10 or 15 percent of what it costs in most western countries. Try to avoid visiting MBK on a Saturday or Sunday when it’s terribly crowded. 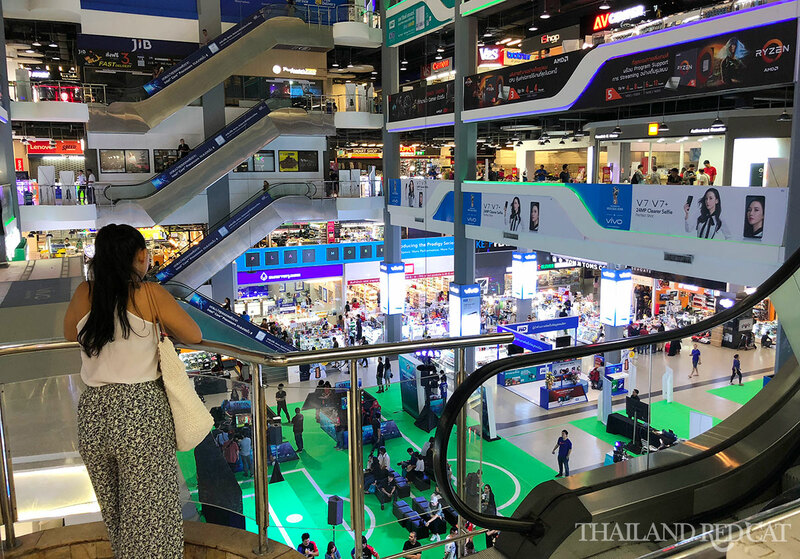 Pantip Plaza is a paradise for any kind of computer shopping. It has the widest range of laptops, desktop computers and accessories from speakers, keyboards, computer screens to hard disks and mainboards. You can’t find any kind of computer electronics cheaper elsewhere in Bangkok (of course bargaining is important again). There are even some shops that let you create your own personal computer according to your preferences and budget and that’s what we did in my first company I was working for in Bangkok, we ordered several customized computers and a server that even one of the shop’s employees set up in our office. 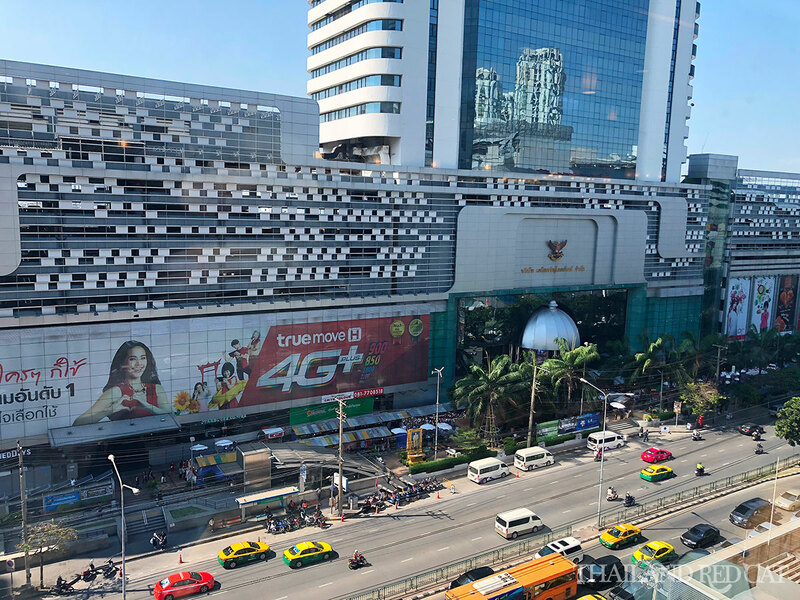 While the MBK is the place to go for phones and Pantip Plaza for computers, you can find the most diverse range of electronic products in the IT Mall of the Fortune Town building opposite Central Rama 9 (2nd, 3rd and 4th floor). If you are out for a new TV or a digital camera you might want to come here as you probably can’t get it somewhere cheaper in Bangkok. Of course you can also shop for cell phones and computer stuff but then probably for a few baht more than in MBK or Pantip Plaza. What I like about the IT Mall in Fortune Town is that the place is not too crowded and the sellers are a lot more polite and patient than especially in MBK. 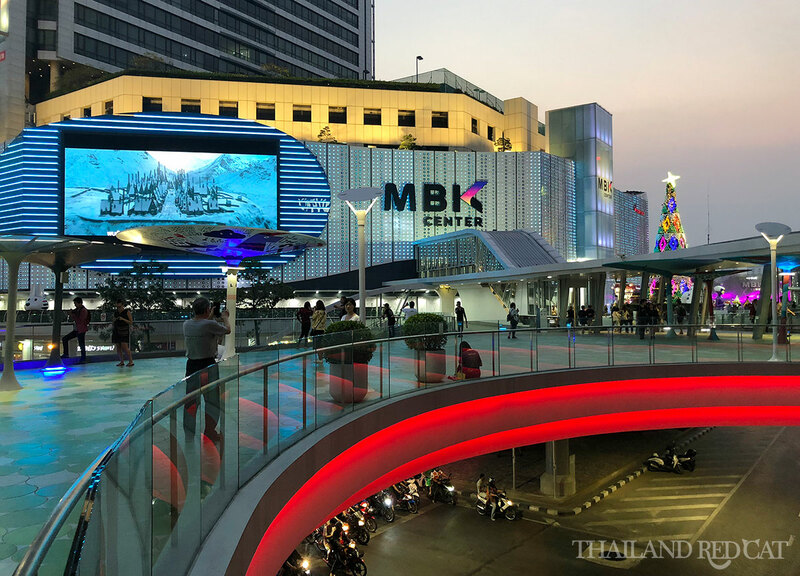 Of course there are a lot more places to buy cheap electronics in Bangkok, but the MBK, Pantip Plaza and the IT Mall in Fortune Town have definitely the widest range of products and the cheapest prices in Thailand. MBK can be good for 2nd hand laptops, most stalls sell only Apple gear though. Big C and Tesco have bargains at times but the catch is most machines only ship with DOS or Linux OS, Windows machines tend to cost more..
Fortune Town or Pantip Plaza. Where to buy Roland musical instruments in Bangkok? Fortune Town or Pantip Plaza. Even the MBK has a decent selection. Wanna buy a good notebook in thailand you say pantia Is fine? I Dont want second Band items. Thanks cool site. I want to buy ONKYO A/V recievers and speakers,where to buy in bangkok pleased anyone help me..
try piyanas high end home audio.. Which mall is right for hifi equipment? Where is Bon Mohr? What electronic / computer shops are there? I live in Dhaka Bangladesh and I want to buy blue tooth speaker Bose brand from Bangkok from which place I should buy at cheap price? Bose is cheaper in Singapore and Honng Kong.I am local Thai and personally,you should buy some brands which produce here such as Sony. Can u tell me what is the price.for sony led 40 inch any model in bangkok ? From where to buy it in bangkok?? Go to Bon Mohr section of Bangkok for electronics. what is the current price of ps4 in bangkok ? where i can get it cheaper? I heard in thiland you can get electrnics cheaper than USA? And how much would you pay in bhat for a laptop with decent specs? AH! thank you… i was just considering the option of purchasing a laptop in Thailand as opposed to my home country. :) by good specs I mean something that can run design programs such as Photoshop and Revit etc…. Thanks man, cool that you find the site useful. I’m looking at starting an electronics business in my home country Zambia. How much would it cost to buy electronics like Flash Drives, phone accessories, laptops, computers in bulk in Thailand and/or Japan?